Showbiz can wait. 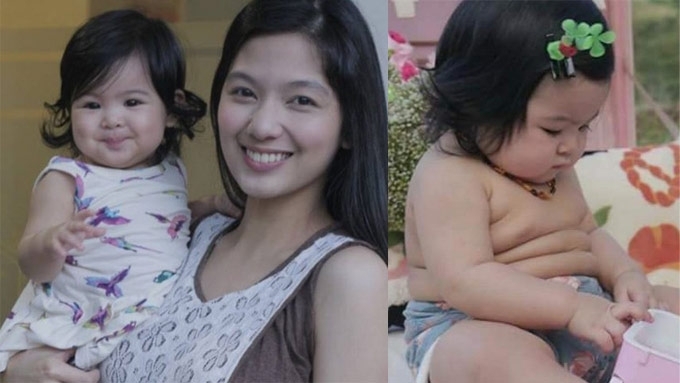 For now, Jennica Garcia feels so fulfilled with her current role as full-time mom to baby Athena Mori. While she's on a break from showbiz, Jennica Garcia has her hands full with being a mom to Athena Mori, her baby with Alwyn Uytingco. Just before the month of May ended, Jennica posted a poignant post on Instagram about having her own family despite coming from a broken home. The daughter of Jean Garcia wrote, "Tweaked my blog layout a little bit and changed a photo that used to consist of just me and my husband, Alwyn. "I got all emotional upon doing so since I replaced it with this photo of the three of us. At present, acting is the farthest thing from her mind, especially that Baby Mori's first birthday will be on July 16. She and Jean have been excited about it, and Jennica is grateful for her mom's all-out support.